In a situation where putting a window air conditioner in is not allowed, this is the perfect solution. You can have as many as you want without any protrusions from the house. In addition you can place them anywhere in your home. This way you can take the cooling to where it is need the most, when it is needed. These units are perfect for smaller spaces. In addition, in these smaller spaces, lighting and window space can be at a premium. In that case, even if you were allowed to install a Window unit, you would probably like to avoid it. Portable air conditioners are very quick and easy to install. On top of that, they are also non-permanent, so even removal is fast. Even in places where there is central air conditioning, portable units have proven to be useful. Central a/c can be very expensive to run, so a couple of portable units to spot cool specific areas can be a lot more economical. 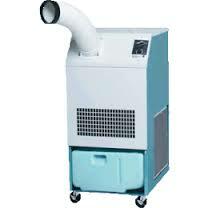 MovinCool are providers of industrial cooling and portable room air conditioning equipment and expertise.